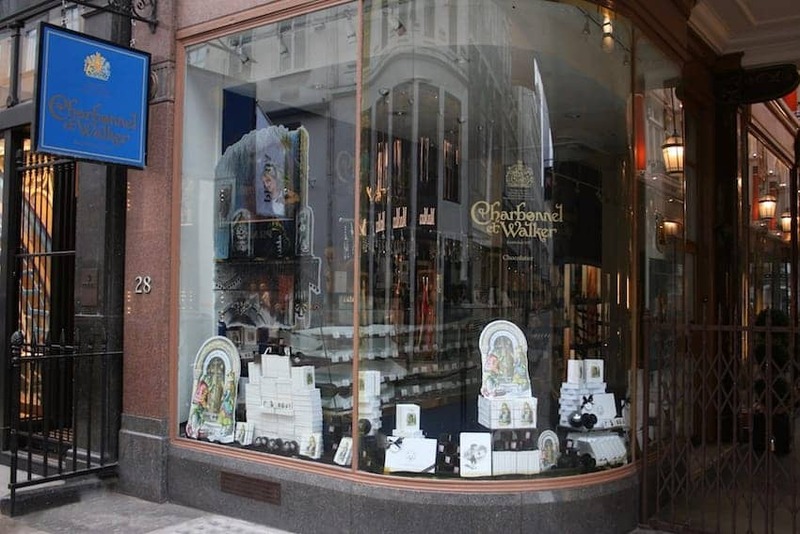 Founded in 1875, Charbonnel et Walker is one of Britain's first and finest chocolatiers. Formed as a partnership between Mrs Walker and Mme Charbonnel, the original shop was in New Bond Street and is now housed in the elegant Royal Arcade on Old Bond Street. Endorsed by the Royal Warrant and with customers from aristocracy, society and the screen, the renowned chocolates are hand-made to traditional recipes and presented in luxurious hand-made boxes.